I remember the first time I heard Grey Park. I was listening to a promo that had come in the mail, a compilation from the Negative Foundation label entitled “Halogen Ball.” Sitting in the parking lot of a local hospital, at least a couple years before it would close down for good, I popped in the CD in my Discman and practically had the top of my head ripped off checking out the noise and drone I was in no way prepared to hear. And while my favorite track on the disc ended up being Mnem’s hot-noise therapy “Genocide Mobile;” the last track of the four, Grey Park’s “10 Dollar Habit” grew on me with each listen. With layers of delayed voice, beating CD skip rhythms, disembodied speech, and random electronic artifacts, it was just the sort of track that could keep me coming back to what would otherwise have been just another “various artists” compilation in a growing pile. Unfortunately, I lost touch with Negative Foundation, or they lost touch with me. I can forgive myself; putting any effort into DJing presents a steep learning curve with lots of artists, aliases, side projects, and labels one tries to keep straight. So here I am, trying to reconcile a 1999 Grey Park with the 2005 incarnation, on their self-released “Gradient Descent of My Collective Mind.” Why now, and not two years ago? I have no idea– but I’m not the only one confused. According to their own webpage, they were expecting this album to be released earlier on the Nature Tape Limb label, but it never showed. Considering that they’re in Finland to boot, two years isn’t such a bad lag, is it? But let’s get back to the album. 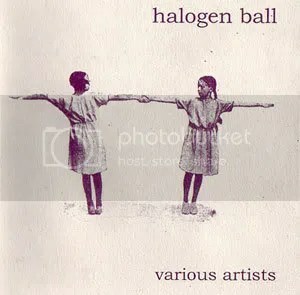 First off, it is far more subtle than the “10 Dollar Habit” track provided for Halogen Ball. The quiet reverberation of machinery, for instance, is all the rhythm needed for the track “10924M,” a chiming drone of clear electronic tones and the occasional buzzing wash. Far beneath even these layers, I can detect some human sounds– a newscast, perhaps. Is this track breaking incredible new territory? No– this is a neighborhood settled some time ago, and Grey Park is just one of the older residents. Of course, this works to the album’s benefit. Instead of taking an obvious path, listeners can check out some really neat touches a less mature sound could not provide. The unexpected birds in “Heliosis” are a great example. Easily mixed with the grinding gear noise, they are just the right amount of organic element to free up the track as a whole. Excellent. 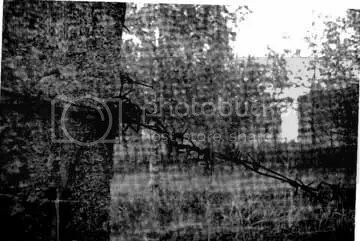 This entry was posted on March 22, 2007 at 8:04 am and is filed under avant-garde, experimental, experimental music, memory, music review. You can follow any responses to this entry through the RSS 2.0 feed. You can leave a response, or trackback from your own site.